Does Your Organization Know Which Employees Drive Its Bottom Line? 1. I’ve really been enjoying him lately. He has a sneaky entertaining writing style and his endnotes and hyperlinks are outstanding.This morning I read an interesting article from Deloitte’s Josh Bersin 1. Citing The Shriver Report, he touches on some of the institutional factors that have contributed to women’s underrepresentation in leadership roles throughout the U.S. workforce. Ultimately making a compelling case for why employers should begin to amend this disparity, Bersin offers up a host of actions companies can take to position their female talent for success. This is a great piece with some powerful data backing up its key points: Check it out here. …With that said, being a comp geek I eventually doubled back to the part of the column where Bersin espouses the merits of using high wages as a source of competitive advantage. As support for this position, he cites a study from MIT professor Zeynep Ton showing that high-paying retailers like Costco/Trader Joe’s/QuikTrip are more profitable on a per employee basis than their more miserly competitors. The argument here goes that higher wages – coupled with increased training and autonomy – lead to a better trained, more engaged workforce. There’s nothing too controversial there: After all, we know that engagement 2. Though it’s worth mentioning that happiness and engagement are not the same thing.drives performance 2. And while the specific costs of turnover are seldom well documented by organizations, we nevertheless know the many ways in which turnover can be very expensive. To this point, organizations that don’t at least pay workers enough money to take it off the table as a major concern are going to have retention issues. 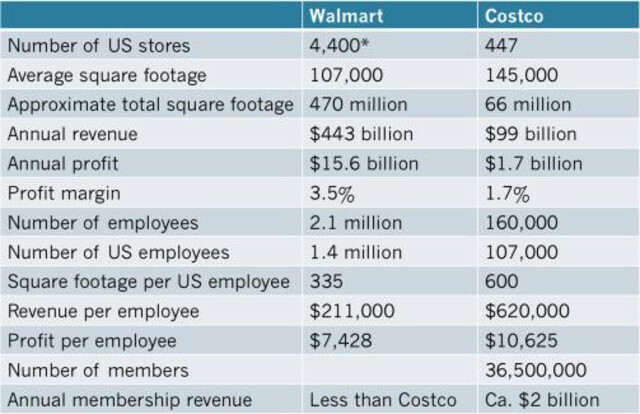 …So Walmart is high revenue, low margin while Costco is low(er) revenue and margin… but much more profitable on a per employee basis. Again, you can read the full piece here, but as we can see above Costco is pursing a much smaller (and more affluent) segment of the retail market than is Walmart. In this case targeting the smaller (but higher end) market segment yields a much lower net profit, but there are also companies that have large profit margins while paying their employees boatloads. Okay… so we know that depending on one’s business model/industry/product offerings/the market cycle etc. that human capital costs are going to vary dramatically by firm. We also know that organizations will spend more money to retain skilled workers (particularly those whom they have invested considerable resources into). Let’s go back to our chart above, though: How many companies know if they’re maximizing profit per employee? From a compensation and retention standpoint, in practice most companies treat some employees like valued assets and others as easily replaceable bit players and/or necessary cost centers. But how do they decide which ones? 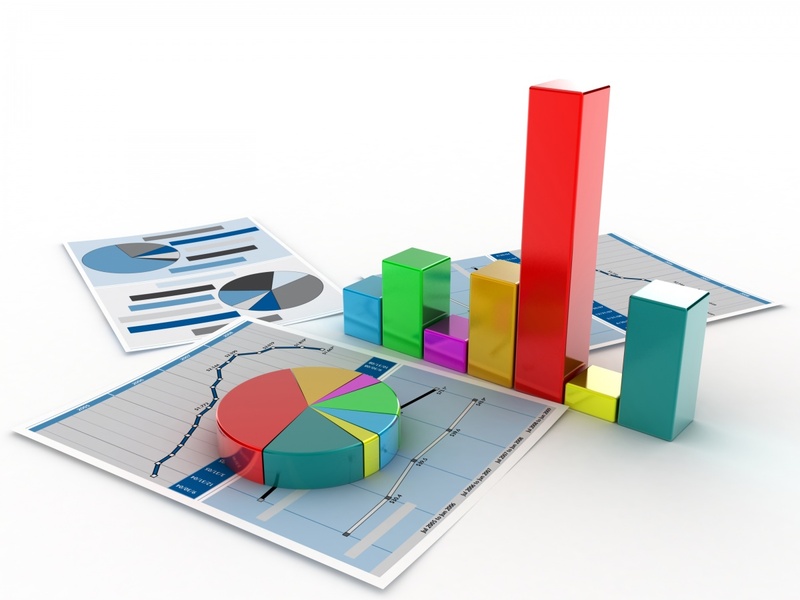 The subjective nature of performance management at many firms suggests to me that for the most part organizations (probably) don’t know who is making them money… or if they do they can’t quantify by exactly how much. Does your organization know which employees drive its bottom line? How?